Fault diagnosis of a mechanical device such as a complicated aero-engine system is an interesting engineering topic. Present paper aims at providing a method to automatically extract abrupt information of signals to diagnose typical faults. This proposed method is based on singular value decomposition (SVD), and it decomposes a signal via reconstruction of singular value matrix. A criterion of difference spectrum is introduced into this method to terminate the analysis procedure. To verify the proposed method, both numerical simulation and experimental work on rotor test rig and an aero-engine generator were carried out. In addition, the kurtosis of rubbing resulting from wavelet, empirical mode decomposition (EMD) and this proposed method was compared. 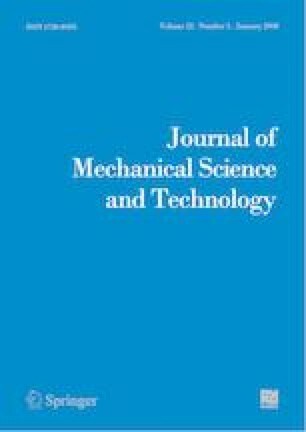 It is shown the proposed method is advanced to wavelet and EMD in rubbing fault diagnosis of aero-engines since it can extract the most significant periodic impact feature of fault signals. Qiang Pan received his B.S. degree in Department of Jet Propulsion from Beijing University of Aeronautics & Astronautics in China in 2001 and completed his Ph.D. degree in Department of Mechanical Engineering at Inha University, South Korea, in 2009. Presently he is a lecturer in School of Transportation Science and Engineering at Beihang University. His research interests include material and structure analysis of aircraft and aero-engines, aircraft airworthiness and fault diagnosis. Ying Liu received her B.S. degree in School of Transportation Science and Engineering at Beihang University in 2016. Now she is a graduate student in School of Transportation Science and Engineering, Beihang University. Her research interests include fault diagnosis of aircraft, neural network algorithm and signal processing. Rui Zhou received his B.S. degree in Department of Aircraft Design Engineering from Nanchang Hangkong University in 2016 and M.S. degree in School of Transportation Science and Engineering at Beihang University in 2019. Now he is an engineer in Aeropolytechnology Establishment of China. His research interests include fault diagnosis, acoustic emission and signal processing. Hong Wang received her B.S. degree in Thermal and Power Engineering from Hohai University, China, in 2004 and Ph.D. degree in Department of Vehicle Operation Engineering from Beihang University, China, in 2012. She is a Senior Engineer at Beijing Key Laboratory of Long-life Technology of Precise Rotation and Transmission Mechanisms, Beijing Institute of Control Engineering. Her research interests include fault diagnosis, dynamic analysis and vibration control of mechanical systems. Haibing Chen received his B.S. and M.S. degrees in Aerospace Engineering from Beijing University of Aeronautics & Astronautics in China in 2001 and 2003, respectively and his Ph.D. degree in School of Aerospace Science and Engineering at Beihang University in China in 2009. Presently he is a lecturer in School of Transportation Science and Engineering at Beihang University. His research interests include nonlinear flight dynamics and control, airworthiness and signal processing. Tian He received his B.S. and M.S. degrees in Mechanical Engineering from Shijiazhuang Tiedao University, China, in 2001 and 2004, respectively, and his Ph.D. in Aerospace Propulsion Theory and Engineering from Beihang University, China, in 2008. He is an Associate Professor in School of Transportation Science and Engineering, Beihang University. His research interests include fault diagnosis, acoustic emission, vibration control and vibration signal processing.